Hamilton May presents a luxurious penthouse of 135 m2 fitted with a spacious 50 m2 terrace and two loggias - the property is available for rent in close Wola, in the Meridian development. 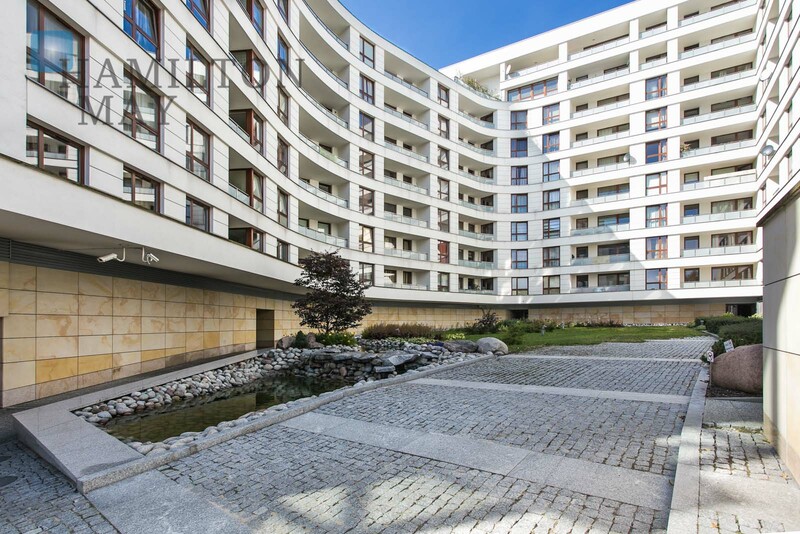 Hamilton May presents elegant residential building located on border of Wola district and city center - one of the fastest growing parts of Warsaw. Meridian is complex of 3 adjacent buildings with 7-9 storeys and 2-level underground car parking. The courtyard garden was designed in Japanese style, with a little waterfall and elegant alleys. The building facade is finished with sandstone and gives the building an elegant look. Halls are finished with stone, glass and steel. The building area is fenced, with 24/7 monitoring and security. Meridian development is located on Chłodna street, close to the very city center - Golden Terraces shopping mall, Central Railway Station, Saski garden and Old Town are about 15-minutes walk away. In the closest neighborhood there is Museum of Warsaw Uprising, a well developed public transportation (including new metro station at Daszyńskiego roundabout), numerous shops and service points, cafes and restaurants. This spot is perfect choice for professionals working in one of the neighboring office buildings.